The members of the General Board do not represent groups or sectoral interests. They are required to exercise independent judgement when making their decisions. The members are elected or appointed for a period of four years, except for students, who are appointed for two years. The General Board of the University operates under its own regulations, approved by an absolute majority of its members. Access to the deliberations of the General Board. 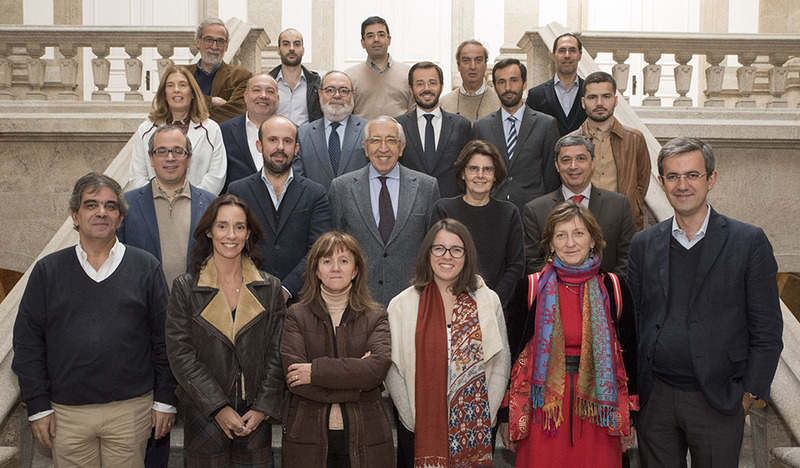 The General Board of the University of Porto is composed of 23 members. The President of the General Board of U.Porto is Artur Santos Silva. Propose the initiatives necessary for the proper functioning of the institution. Approve the use of self-evaluation mechanisms to appraise the performance of the University of Porto. The General Board has a Chairman elected by absolute majority from among the six external members. The Chairman of the General Board does not interfere in the exercise of powers of the remaining bodies of the University of Porto, and will not represent them or speak on their behalf. Submit for approval of the General Board the operating rules, the rules applicable to the election and co-optation of General Board members, and to the election of the Rector.